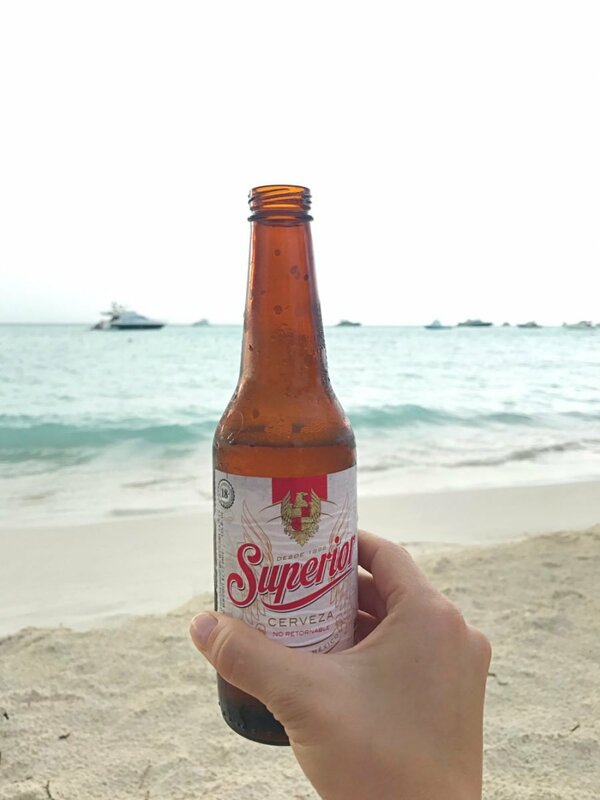 Isla Mujeres is possibly one of my favorite beach getaways in all of Mexico (except for my beloved Tulum, of course). It has a bit of everything: quiet beaches, beautiful water, busy downtown, plenty of souvenir shops full of my favorite kinds of tchotchke, fun and cheap bars, and amazing seafood. 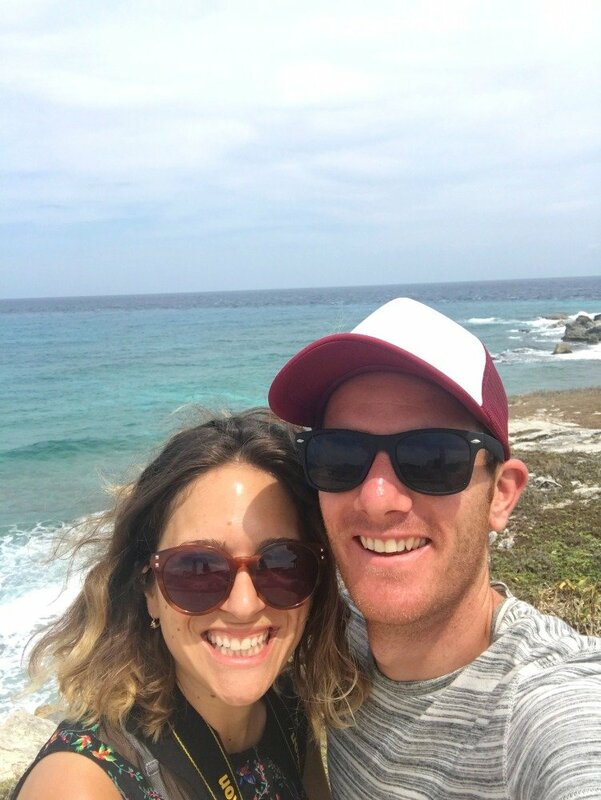 We spent five days lounging around Isla Mujeres eating as much as possible and drinking a few too many micheladas. 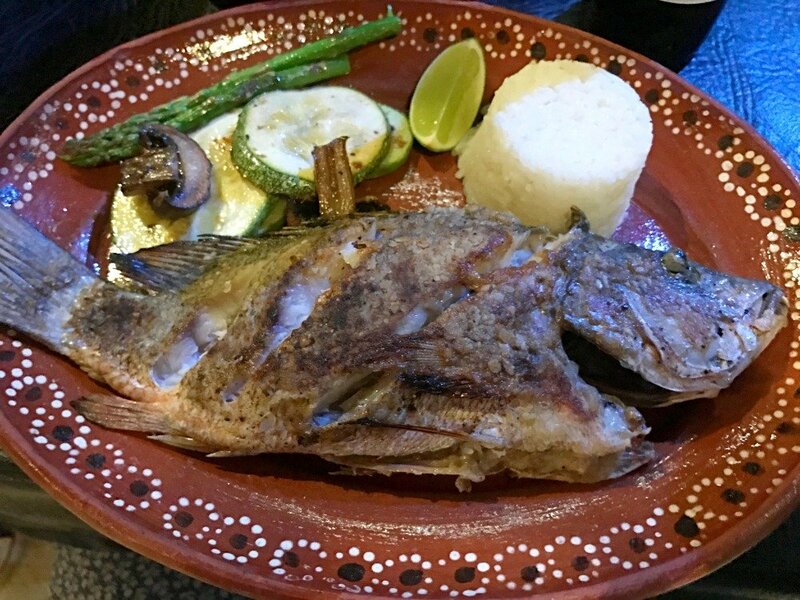 There are a decent amount of things to do on Isla Mujeres, but mostly I just relaxed and ate delicious food. These are all my favorite places for eating, drinking, lounging, and sleeping. Every bit of information I read about the cost of the ferry to Mujeres was totally wrong. There are three different ferry companies and they all leave from different terminals along the same road just outside of the hotel zone in Cancun. Puerto Juarez is the next terminal along and they charge the exact same amount. The company that operates from this terminal is called Magana. While the Ultramar ferries go every half hour, these ferries only go every hour. They also take about 15 minutes and they come into a smaller terminal a bit further away from the center of town. Punta Sam is the third terminal in the row of terminals along this road and it is where you catch the car ferry if you want to bring a car to the island. This ferry takes 45 minutes because obviously it’s full of cars and goes much slower than the passenger ferries. Luke and I took a taxi from the Gran Puerto terminal in Cancun to the Cancun airport and we paid 400 pesos ($20). He initially While there are Ubers in Cancun, at the moment they don’t seem to be much cheaper than taxis. Always agree on a price with the taxi driver BEFORE getting into the taxi. You don’t need to tip drivers here in Mexico unless it is a private car service that has been arranged by your hotel or tour program. If you’ve been reading my blog for a while you guys know I LOVE me some AirBnB. It’s always the first place I look for places to stay and there are tons of AirBnB places on Isla Mujeres. We stayed in this awesome 2-bedroom apartment with one of the most incredible sea views I’ve ever had. Check out the video of our time in Mujeres. I give a little tour of our AirBnB place at the start. We paid $45 a night for this place which was split between four of us, so it was definitely a bargain. 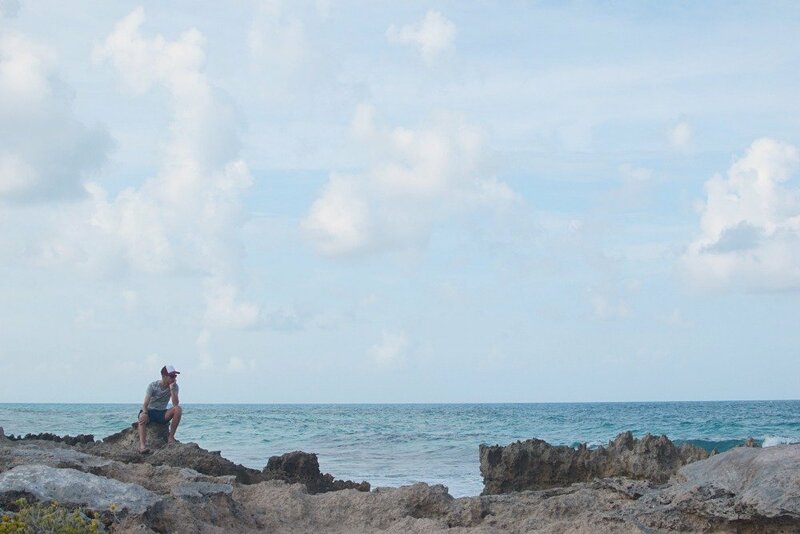 We could walk to an amazing Cuban restaurant, a grocery store, and a really quiet, craggy-rocked beach. Taxis into the main part of town only cost about 30 pesos ($1.50). At most taxis cost 70 pesos ($3.50). If you’ve never used AirBnB before, you can get $35 off your first booking by signing up with this link. If you’d rather book a hotel or B&B and have a bit more luxury, there are some really great boutique hotels that I checked out before booking our trip as well. Hotel Secreto – this boutique hotel is so freaking cute I definitely want to check it out next time I’m back in Mujeres (there will definitely be a next time). It’s really close to Playa Norte (North Beach) and all of the good restaurants and bars. Room start at about $110 a night. Zoetry Villa Rolandi – this hotel is pure luxury. 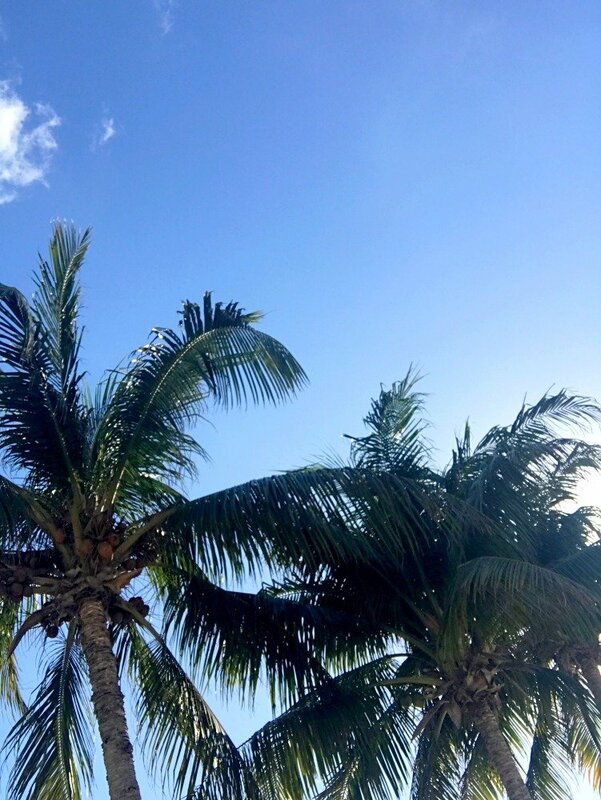 If you want to escape it all and enjoy a private beach, turquoise waters from the swim up pool bar or the outdoor jacuzzi. Every room includes private yacht pickup from Cancun. Rooms start at $350 a night. Cafe Mogagua: This is a great breakfast spot. They do HUGE cups of coffee for $2 and it’s nice a strong. The service leaves a bit to be desired, but the food is reasonably priced and portions are big. They have a nice outdoor seating area and really strong wifi, a rarity on the island. Morgan’s Restaurant: We ended up going here twice because they cook up a mean whole fish for a really reasonable price. Luke and I devoured the whole grilled fish (you can also have it fried) with a nice portion of vegetables and ice cold beers. The staff are really friendly here, too. Kokonuts: This is mostly a bar but they make seriously good fish tacos for a really good price. They have a combos menu at lunchtime which is three tacos and a beer for less than $5. They’re surprisingly filling and they have a huge selection of delectable sauces. If there are any sports games on that you want to watch, they’ll put one of the TVs for you. Mamacita: This is a really great spot for some classic Mexican dishes at a reasonable price. The staff are really friendly here and all of them speak English (as do most places on the island to be honest). We just drank a few beers here and had tortillas with some of their salsas, but the food smells and looks really decent. Picus: This seafood restaurant is literally on the beach. The floor is sand. They do mostly seafood and that’s what we went there to have. While I wouldn’t recommend the seafood burger (it’s mostly chewy pieces of shellfish that have been overcooked), the fish dishes are really excellent and not at all expensive. Rincon Cubano: Located about a 5-minute taxi ride from the center of town, near where our AirBnB was, is one of the best meals I’ve had in a while. Due, I imagine, to its close proximity to Cuba, there are a lot of really great Cuban places in Isla Mujeres. There are two very classic Cuban dishes on the menu that Luke and I shared and it was by far the best meal we ate on the island. Taquería La Cueva: This little three-table restaurant is literally just someone’s house with three tables outside it. They cook up some seriously mean fish (try the Veracruzana style) and big plates of ceviche for crazy cheap. Most things on the menu are less than $3. Night Market: There is a great little night market with a few taco stands and ice cream stalls that we ate at one night. With the beach at your back, walk all the way to the end of Miguel Hidalgo. When you get to the end you come to a sort of church square. Turn left down Avenida Moreles and you’ll see the market in front of you. If you walk all the way to the back of the back there are two really great taco stands that do a few different types of classic Mexican street food. Luke and I filled both of our bellies for less than $8. Everywhere. Literally, everywhere sells drinks. Everywhere does happy hour, everywhere makes a really delicious mojito, margarita, and ice cold beer. 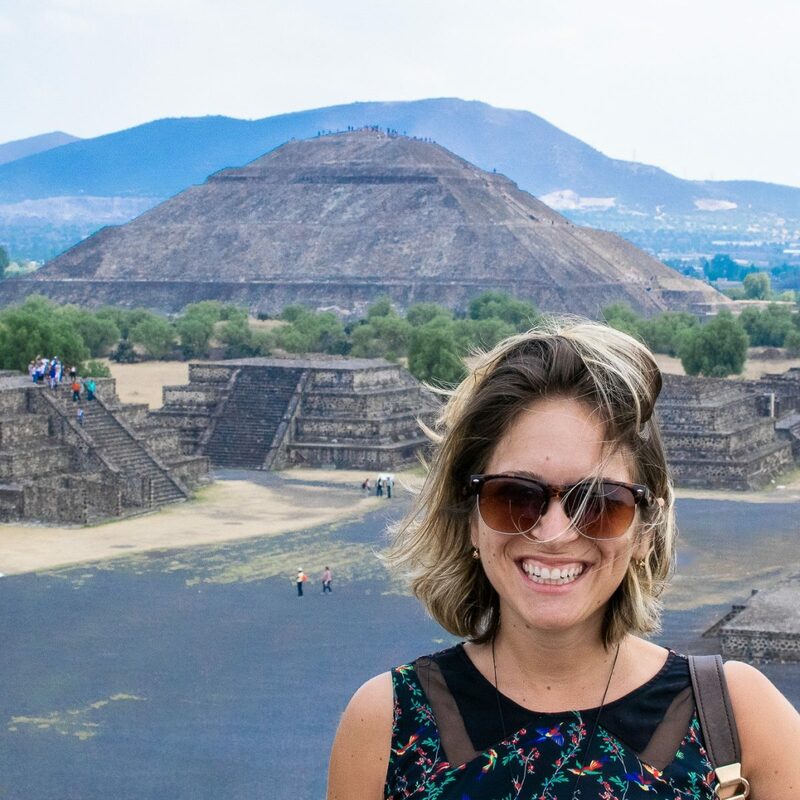 If this is your first time in Mexico try a bit of mezcal, a michelada (beer with a few sauces in it) or a chelada (beer with a salted rim and lime juice in it). El Patio: This place has a really nice rooftop where you can sit with a frozen margarita or mojito and watch the sunset over the sea. We went for their happy hour which starts at 5pm and was a 2-for-1 offer on cocktails. The staff were really friendly and the wifi was good enough for me to get a bit of work done there, too! Nash’s: This is basically a sports bar, but they do burger offers too if you’re feeling pekish. Our friends had burgers there one night and they said they were really good. Luke and I just enjoyed watching the hockey playoffs with some ice cold beers. The atmosphere is one of the best in the evenings. On the Beach: Bars literally line the beaches during the day. If you get thirsty or want a bit of shade, simply head towards any lounge chairs you see and someone will come over with a menu. You can also buy drinks at 7-11 or Oxxo (they sell coolers and ice too!) and bring them onto the beach. We did this most days to save a bit of money and because what bar is better than the one where you lay in the sand with your toes in the sea? It’s an island, everywhere you turn there is sea and sand, but some are a bit better than others. Playa Norte: This is one of the most popular beaches in the area. It is at the very tip of the island and there are tons of hotels along this strip. It is the perfect place to watch the sunset from. Playa Central: Just near Playa Norte is Playa Central. This beach faces Cancun, which also means that it faces the ferry terminal. There are tons of boats the pass along the beach and you can only swim out about 5-meters because there is a rope to stop you swimming into the boat lane. BUT this is where the water is crazy blue and it’s really calm if you just want to float. This beach is also where most of the beach bars and restaurants are (like Picus). Playa Lancheros: This beach is much smaller than all of the others and you probably need to take a taxi or golf cart to get here, but it’s much quieter than the other beaches. It’s still on the west side of the island so you get to see the turquoise waters, just without any of the crowds. The beaches along this part of the island have awesome snorkeling, too. East Coast: I don’t think any of the beach access on this side of the island actually has official names, but I REALLY loved this side. Head South down Paya Obispo until you get near the Panteon cemetery. On the left side, you’ll see the coast and a beautiful rocky place to walk. If you keep walking south you’ll come to a rough patch of sand where you basically have the whole place to yourself. It’s so quiet and the ocean is rough and dark blue. It’s not a place to come to swim, but if you want to escape the busy tourist beaches and enjoy the crashing waves then I highly recommend a visit to this side of the island. Hacienda Mundaca: This cool ruins site has an interesting history. It’s the home of a pirate. Back in the mid-19th century he passed through Isla Mujeres and fell in love with a woman. He built her a mansion to show his love for her. While it was being built, she ran off with another man and the house has remained the same ever since. Entry is only $1. 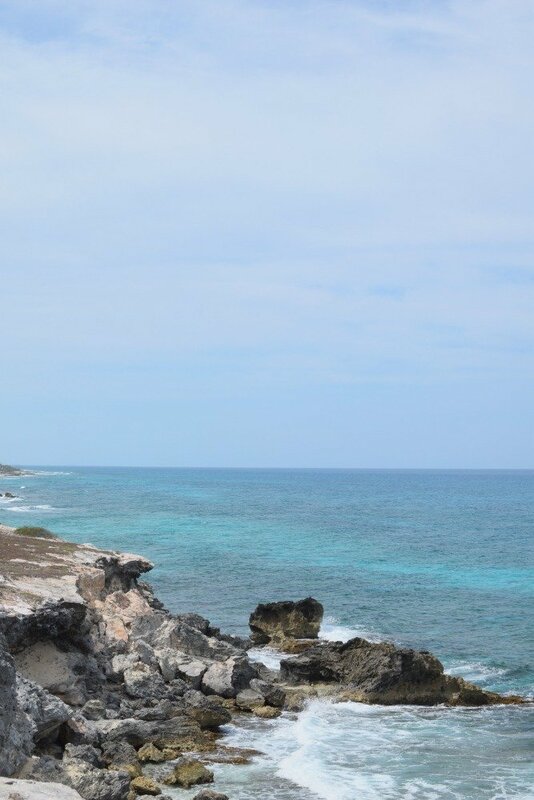 Punta Sur: The lookout point at the tip of the South Coast. This place has incredible views of the rough see. There’s a small lighthouse, a few souvenir shops and two restaurants here as well. It’s easy to walk here from the rocky beaches along the east coast. National Reef Park Garrafon: This national reef park, not to be confused with the overpriced Garrafon Park, is an amazing place to go snorkeling. You pay a small fee to enter the beach, about $5, and you can either rent snorkels there or bring your own. They sell fish food that you can take into the water with you and watch the colorful fish swarm. It’s a really cool experience and the fish are so many amazing colors. Boat or Fishing Trips: There are TONS of places in town that run fishing trips or day trips out on beautiful yachts. We saw a lot of the catamarans and yachts out during the day and it looked like so much fun. The thing that intrigued me more though was going on a fishing trip where you could catch a few fish during the day and bring them to any of the restaurants in town in the evening and they’ll prepare it for you. 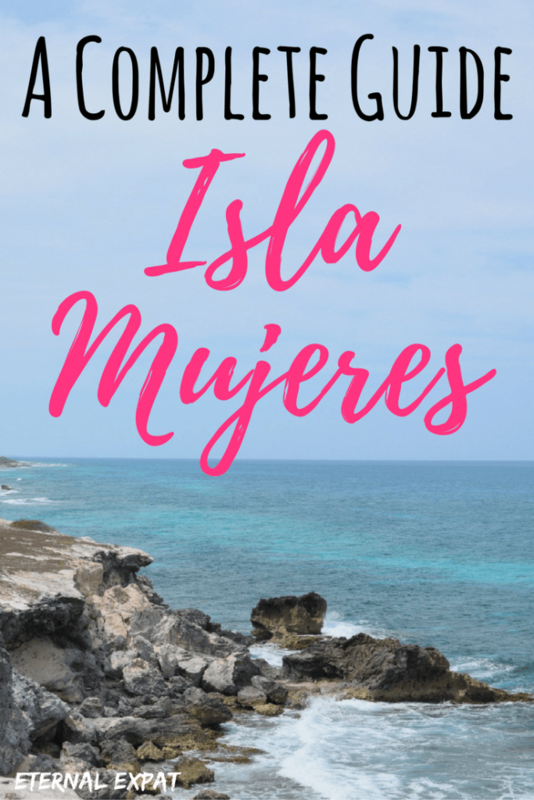 Things I Didn’t LOVE About Mujeres? The garbage everywhere. If you watched the video above I’m sure you noticed the huge garbage pile outside of the window of our apartment. Unfortunately, that wasn’t an uncommon site. There’s a huge landfill literally RIGHT across the road from the ocean which kind of broke my heart. There’s garbage strewn about everywhere. It’s a HUGE tourist destination. It’s a 15 minute boat ride from Cancun so it’s full of American and Canadian tourists. If you’re looking for a place with absolutely no tourists, this definitely isn’t it, but I think because I already knew how busy it would be, I just sort of embraced it and had a good time regardless. Styrofoam. Why? Why are beach towns giving take-away drinks in literally the worst possible container? This isn’t really a dig at Mujeres and is more like a problem with cheap take-away containers all over Mexico, but I find it especially upsetting when it’s happening so close to the sea. 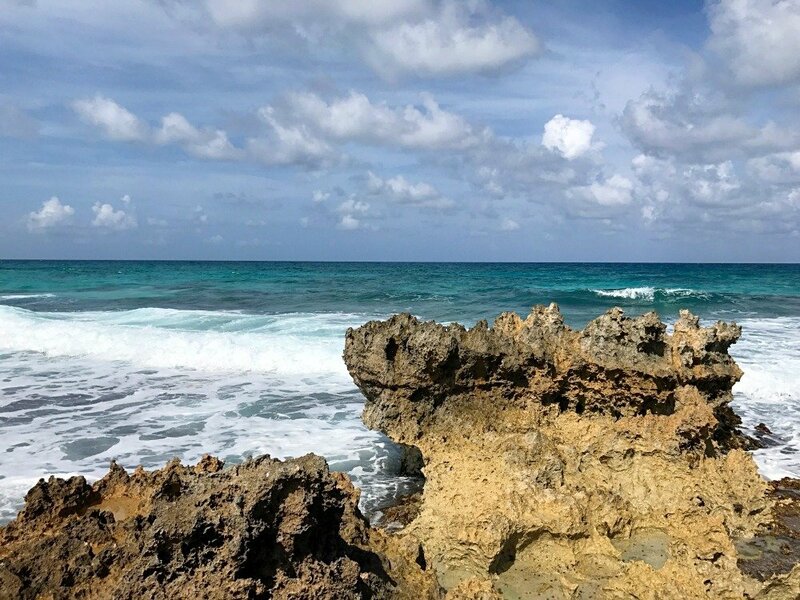 If you’re headed to the Yucatan Peninsula and want to read more tips from my trips around this region, check out the Yucatan section of the blog. Have any questions? Feel free to email me laura[at]eternal-expat[dot]com. I’d be happy to answer any questions you have!